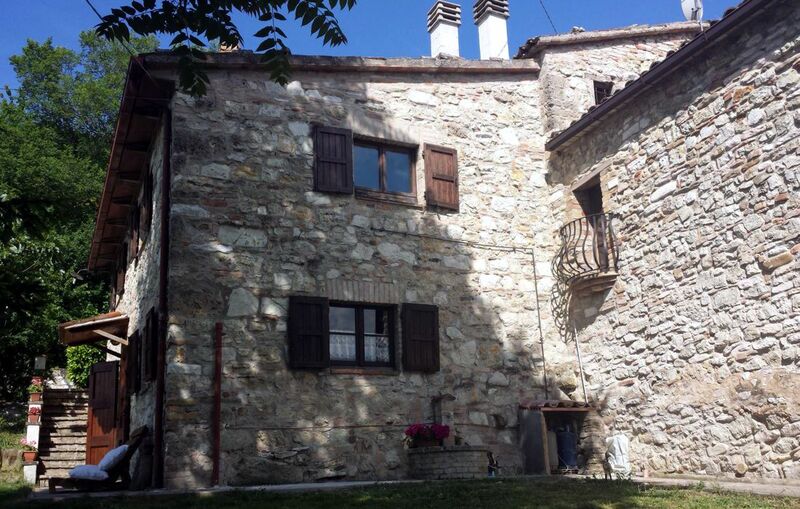 Built in the early nineteenth century, this country house was acquired and recently made over by the current owner, Mr Acero Giuseppe. 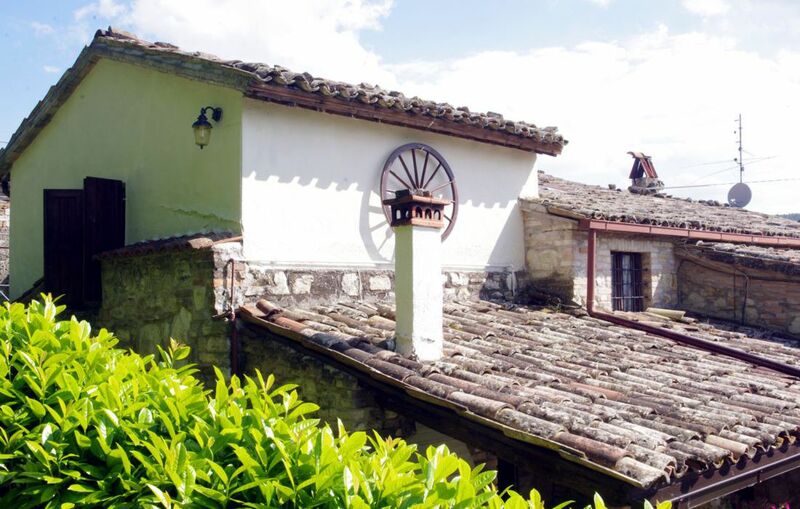 The complex includes two units fully independent from each other and about hectare of land used as vineyards and orchards.Adjacent to the house there is a swimming pool for adults and a small children's pool connected by a waterfall. 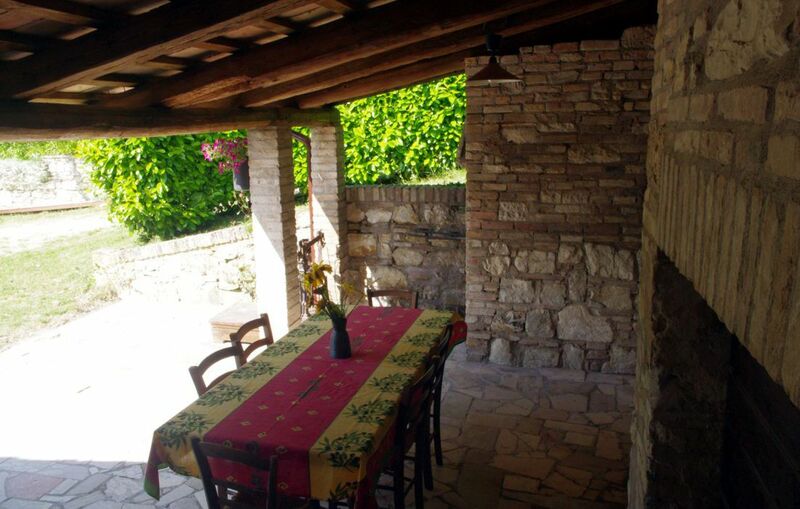 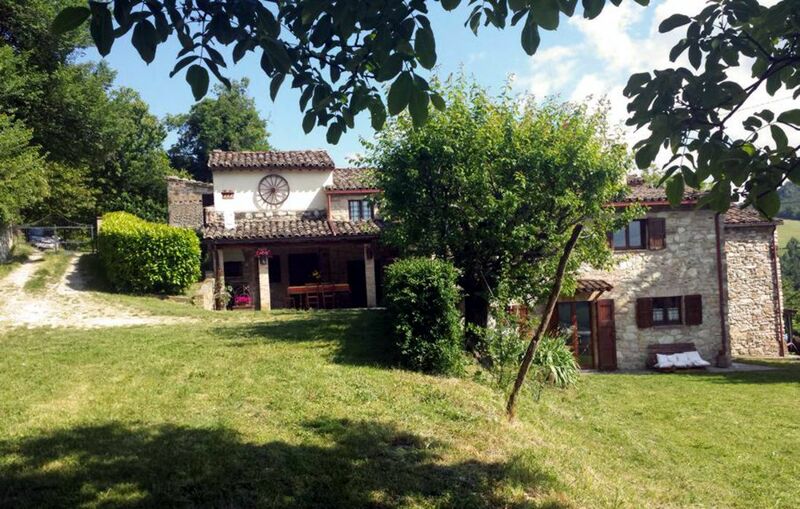 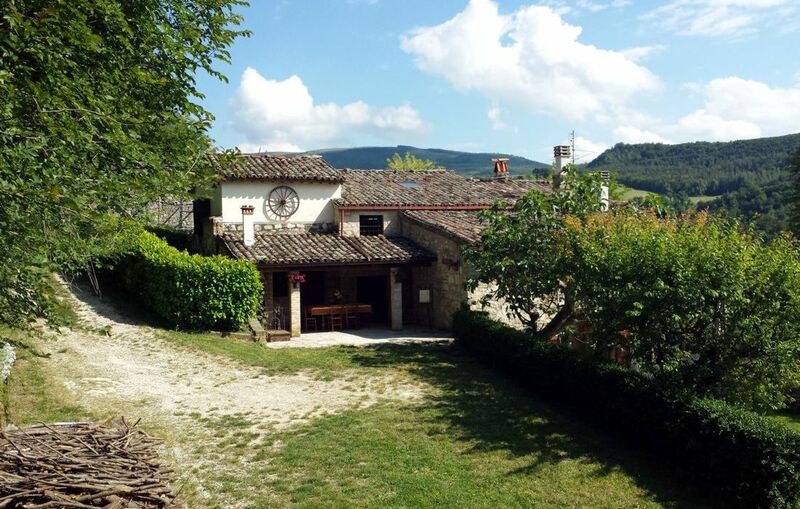 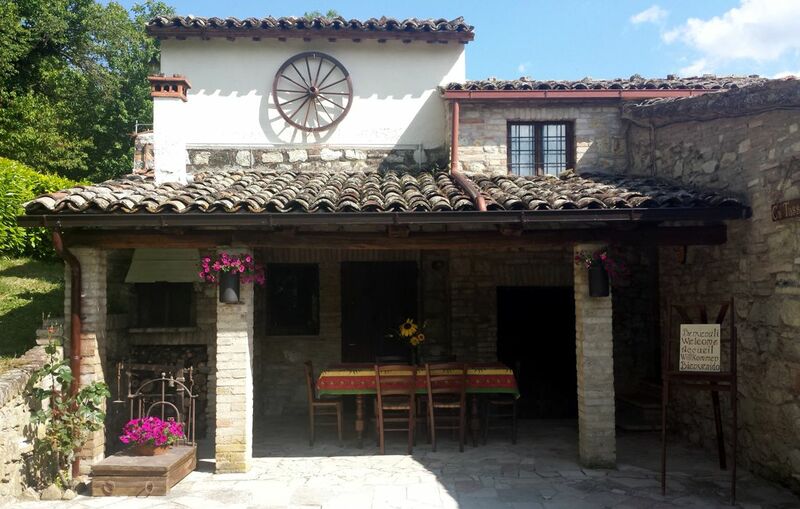 The house is about 3 km from the Statale Flaminia road and and it represents a great sightseeing on the landscapes around Metauro river valley. 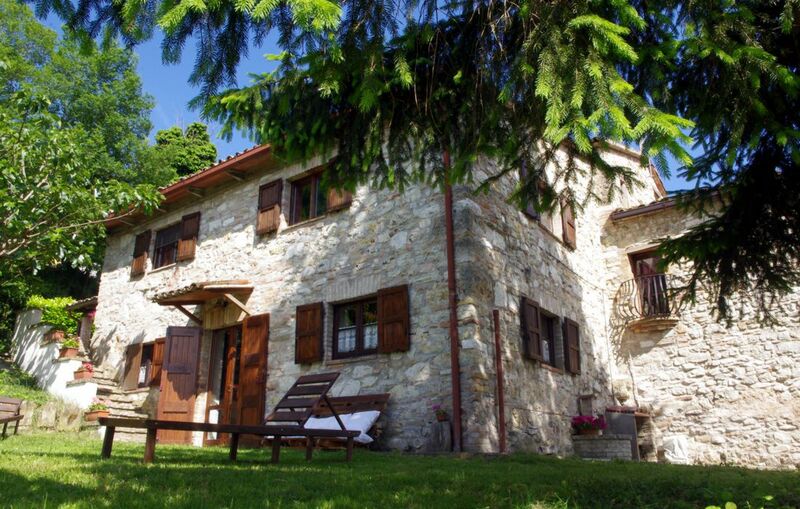 The house is located on the top of the hill called Ca Tassino, from which it takes its name, at a height of about 400 meters above sea level and is t's clearly visible travelling along statale flaminia road from Bivio Borzaga, a small boulevard between Canavaccio and Fermignano. 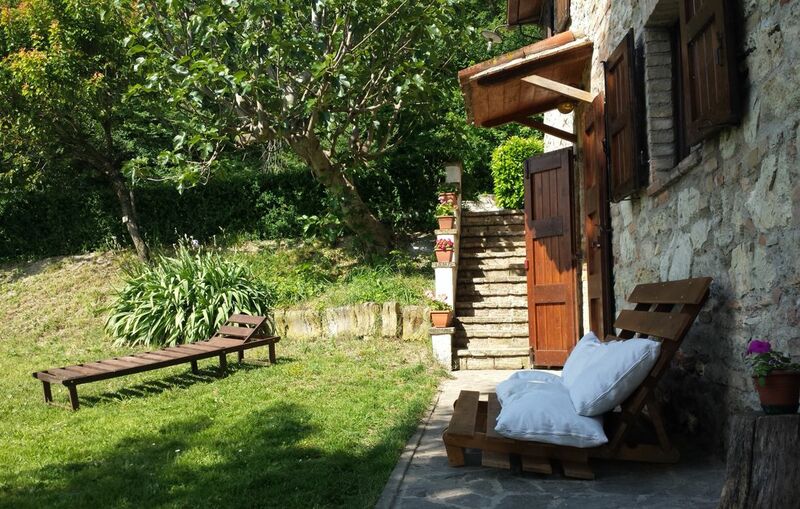 Its reserved position ensure a very relaxing holiday, in totally respect of your privacy, ideal for families or couples who want to enjoy a bit of intimacy.